A vacation to Conneticut is incomplete without a trip to an Old Saybrook beach. Located in Middlesex County, the beaches at Old Saybrook are also a popular attraction for guests. Harvey's Beach and Town Beach are available for public use; both providing clean facilities with very small crowds. Retirement community housing choices for active adults 55+ are very good, ranging from private homes to condos. Quiet residential neighborhoods with a mixture of cottages and year round homes lead to community beaches. Some retirees live here for the summer, and then migrate to a warmer climate. There are several small condominium projects that have sweeping river or bay views. Prices are high by Midwestern standards, but a relative bargain compared to other parts of Connecticut. There is a very good assisted living facility in nearby Essex (Essex Meadows). The median home value was $352,400 in late 2018, according to Zillow. The area experiences a 4 season climate. 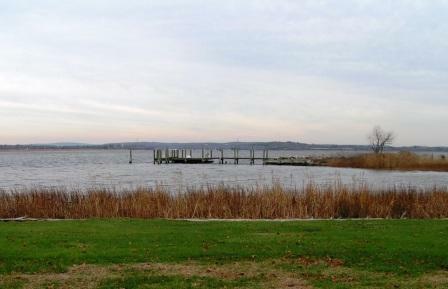 Water is just about everywhere and Old Saybrook is surrounded on 3 sides by the river, bays, and Long Island Sound. The area is low with forested hills forming as it goes away from the Sound. Thanks to the moderating presence of Long Island Sound, Old Saybrook winters are several degrees warmer and summers cooler than just a few miles inland. Antiquing is good in the area. Theatres include the Katherine Hepburn Center for the Cultural Arts, a new facility downtown which is also the home of the Salt Marsh Opera Company and their wonderful productions. Area theatres include the Bushnell in Hartford, the Goodspeed in East Haddam, and New Haven’s Shubert, Long Wharf and Yale Rep. The Old Saybrook public library was recently expanded and is first rate. Choral groups such as Con Brio add additional entertainment opportunities. Very close to the active Lyme and Old Lyme art scene, home to the American Impressionists. Crime in Old Saybrook is very, very low - a little over a third the national average. 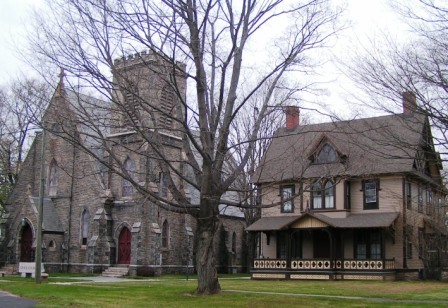 Lawrence and Memorial Hospital is 20 miles away in New London. Middlesex Hospital is about 20 minutes away in Middletown. Middlesex Emergency Clinic is about 8 miles away in Essex. Bradley Airport is about 50 miles in Hartford. Green Airport is 60 miles away in Providence. Amtrak and the Shoreline Express stop in Old Saybrook (railroad). There is also bus service along the shoreline to New Haven. Route 95, a major Northeast Highway, goes through Old Saybrook, but doesn't detract from it's beauty; only adds to its convenience.